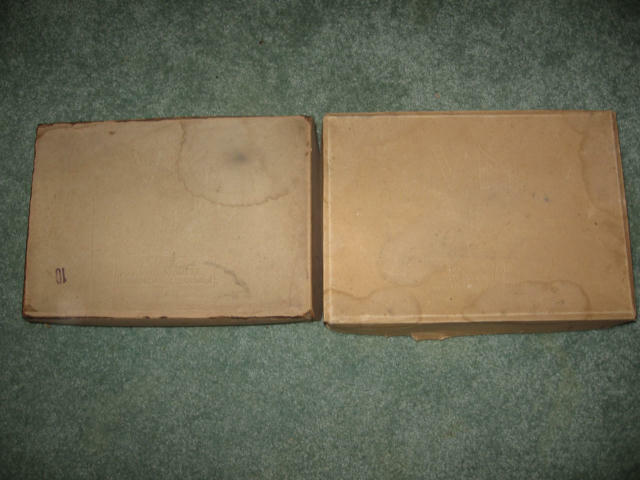 On the left is theMale size and on the right is the Female size . 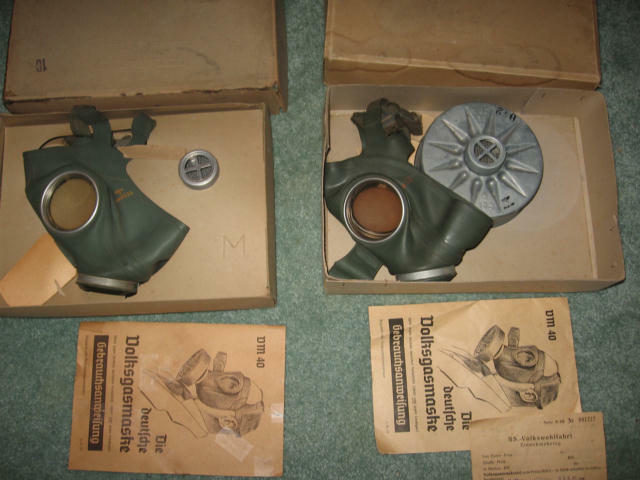 With original instruction sheets. 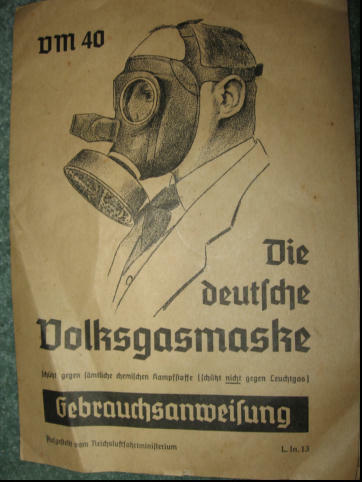 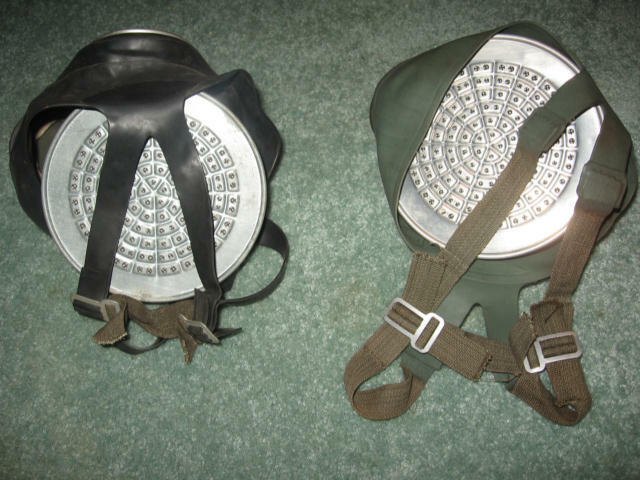 VM40 masks can be found in both geen or black synthetic BUNA rubber versions . 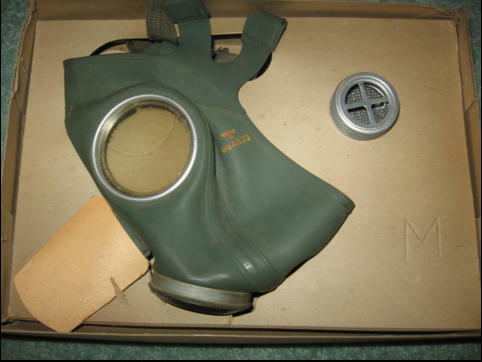 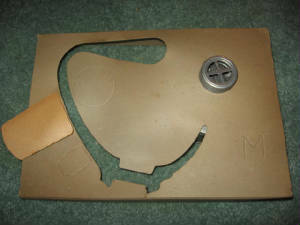 Cardboard frame for keeping mask shape as well as storing the filter . 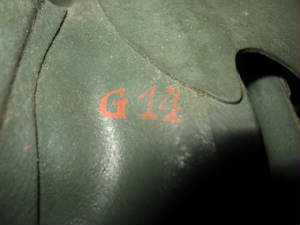 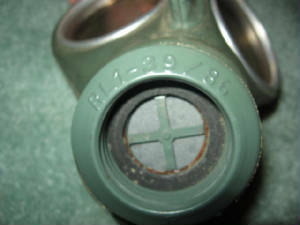 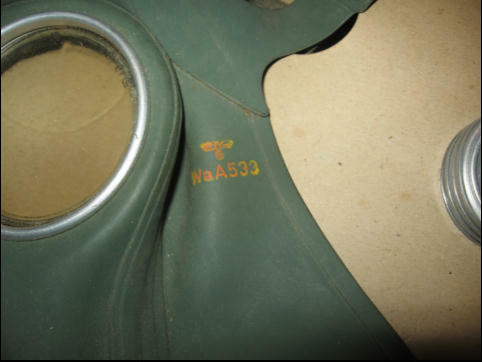 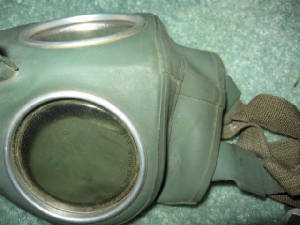 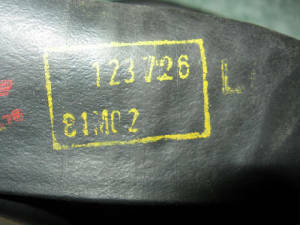 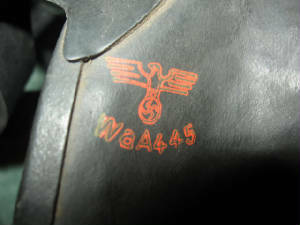 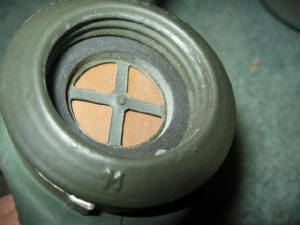 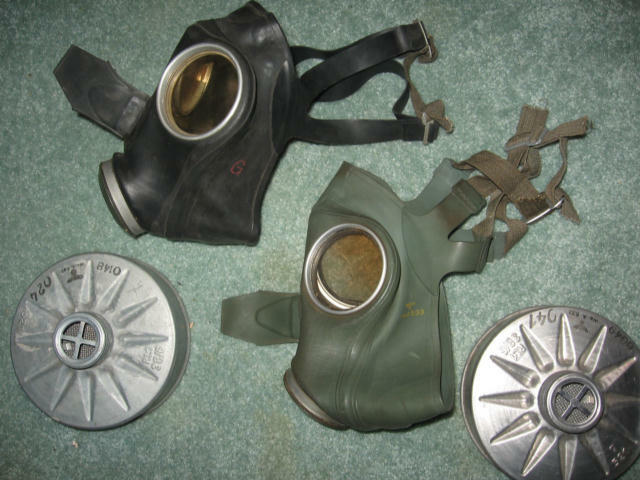 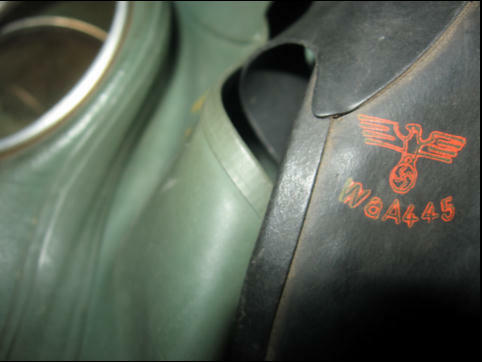 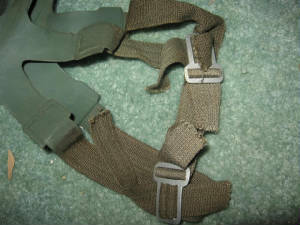 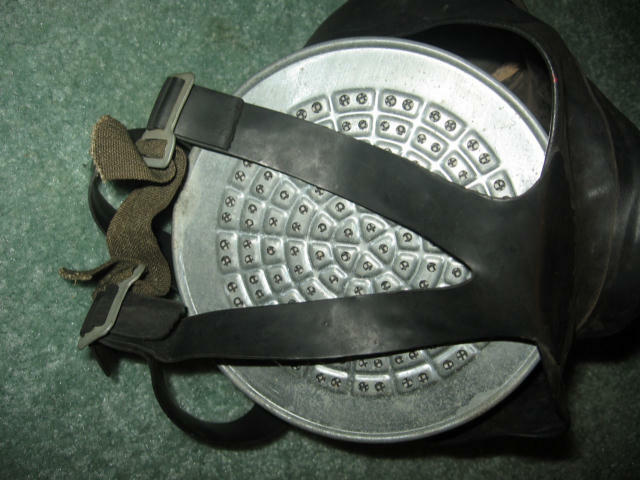 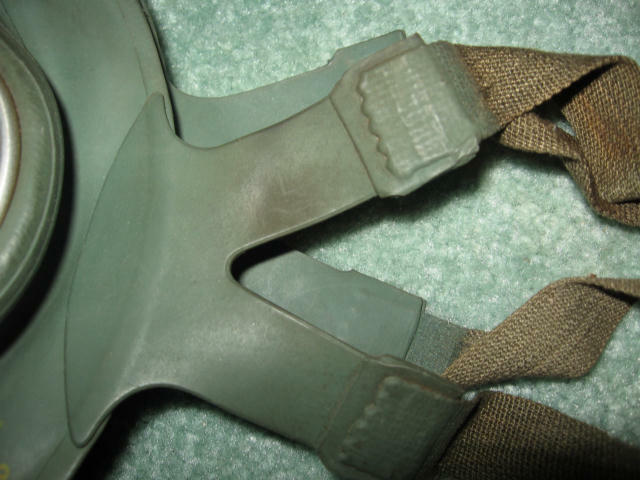 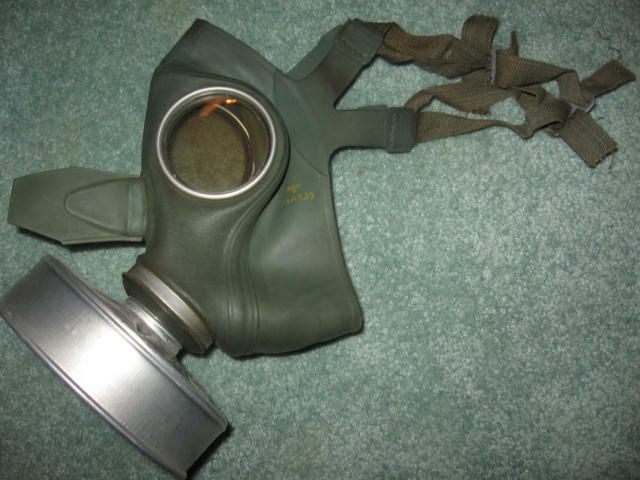 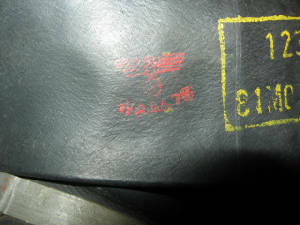 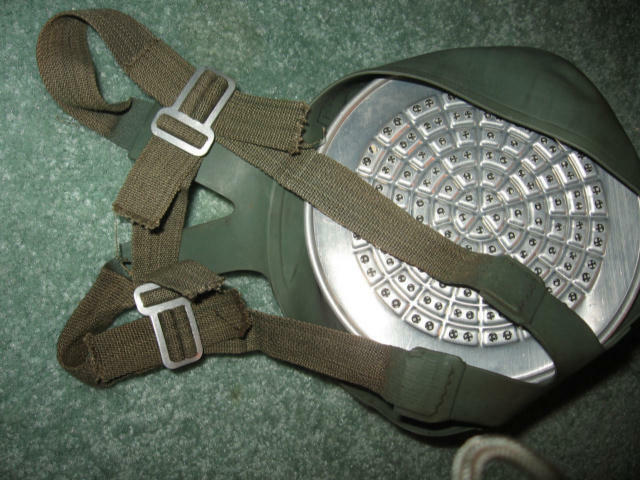 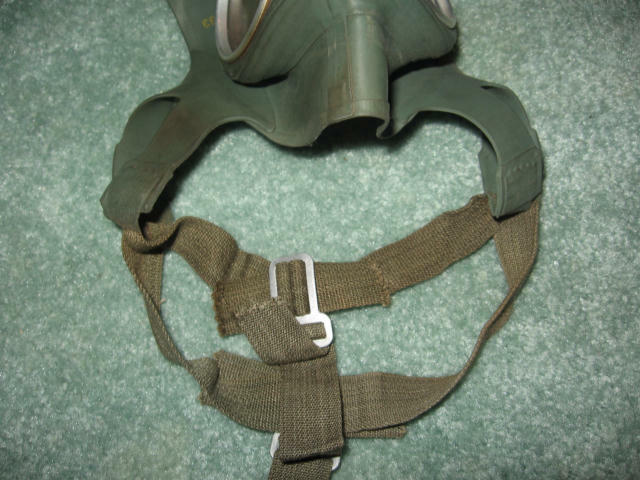 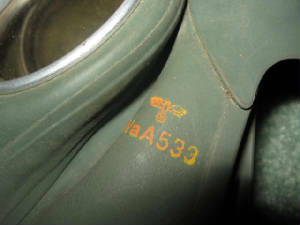 Early VM40 masks had this short rubber "Y" connection with long web straps.